You’re ready to build or update your startup’s website using WordPress. That’s an important first step to engage existing clients and to connect with new leads. A first-rate website is a critical component to the success of your small business. According to the Small Business Administration, small businesses with websites average $1.07 million more per year in sales than those without a web presence. On average, that’s 39 percent higher revenue than the alternative. Now that you have decided to either relaunch your existing WordPress site or to build an entirely new one, you have to choose a theme. You may have searched through a few dozen to a couple of hundred WordPress themes, and all that you are is confused. Not to worry. Reference this guide to learn everything you need to know about choosing the right WordPress theme for your small business. First, you want to keep this process simple. Looking at every available WordPress theme is a guaranteed way to get frustrated and could lead to a selection that will hinder rather than help your company. Select a simple WordPress theme that is clean and easy to navigate. The more bells and whistles you opt for in a WordPress theme, the harder it will be for you to update and the more challenging it will be for your users peruse. Opt for clean and simple to make the user experience – and your life – much easier. While keeping it simple, and you also want to think about color. Since most online marketing is based on visual appearance remember that colors increase brand recognition. If you have a logo, you should match your color scheme to that logo. If sticking to neutrals, a pop of color will make it more interesting especially if you incorporate your logo color into that accent. Many WordPress themes make it easy to alter the appearance, including colors, of a theme via the Customizer or by entering in custom CSS. If you are trying to decide between dark and light, note that it’s statistically shown site visitors prefer lighter colored sights. A dark website design isn’t necessarily a no-go, but if you do choose the dark side know that you are decreasing readability and the opportunity for more conventional design elements. 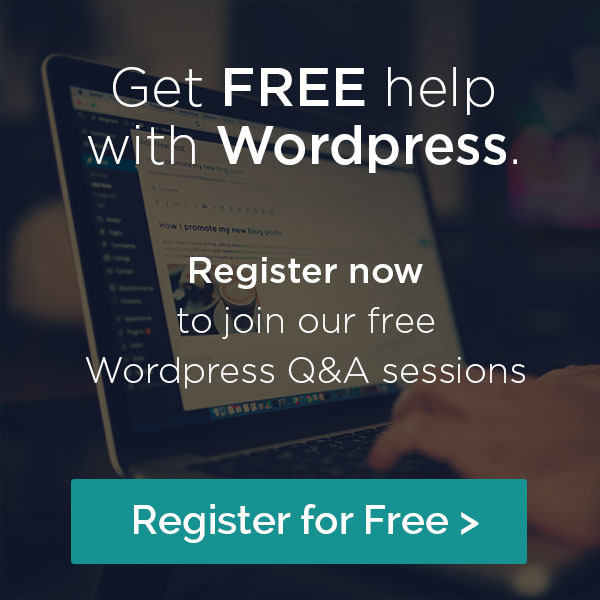 You may have questions about choosing a WordPress theme for your website. Every question is a good question but some are more important than others. For example, how easy is it to set up your site using a WordPress theme you’ve selected? Will you maintain your WordPress site and if so, are you comfortable handling the tasks within the configuration of the theme you’ve selected? If you need someone else to build and manage your WordPress, is that person on staff or do you need to start thinking about hiring or outsourcing? 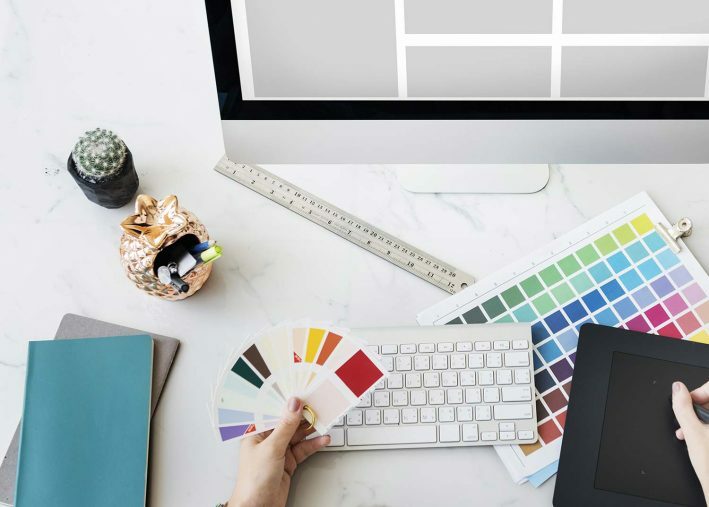 Consider your website from every angle, from conception to future updates, and you’ll find that selecting the right theme is a much easier task. Without a thorough understanding of your small business, you will be hard pressed to choose the right WordPress theme. Do you need to convey a tone of seriousness and experience to convince clients you are the trusted choice among your competitors? Or maybe your small business has a light-hearted voice that can use humor to sell expertise to your customer base. Developing and knowing your brand persona will not only help you choose a WordPress theme, but it will also be critical for a variety of other content marketing efforts, from blogging to email campaigns. Browser compatibility: Internet users are loyal to their browsers. If your WordPress theme isn’t compatible on Google Chrome, for instance, those users will simply not visit your website. That means all of those people are no longer considering doing business with your company. Mobile responsiveness: According to research from Google, 61 percent of users are unlikely to return to a mobile site they had trouble accessing and 40 percent will opt to visit a competitor’s site instead. As a result, it is imperative to choose a WordPress theme that is easily viewed on smartphones, tablets, laptops, and PCs. Mobile incompatibility is not an option for a small business website. Translation readiness: You never know who might be interested in your services, and while you can’t translate your website copy into every imaginable language, your WordPress site should be compatible with translation apps. You don’t want to miss an opportunity to increase sales because someone couldn’t run Google Translate on your website. WordPress plugins: WordPress plugins are the tools you’ll need to extend your site’s functionality for a variety of purposes. Some templates don’t support different plugins so make sure you select one that works the way you need it to so you’re not stuck figuring out workarounds late in the game. SEO friendliness: Search engine optimization is an invaluable part of launching a new website. A poorly coded WordPress page and theme will negatively affect how people can find your site through search engines. Premium WordPress themes offer support that can help you make sure your website is SEO friendly. Performance: Just as a poorly coded theme will hinder SEO, it can also hinder site performance. Make sure to choose a theme with a solid code base that isn’t comprised of too many enqueued scripts and stylesheets. The more files your site has to use to render, the slower it will be. The average web users will only wait about three seconds for a website to load before clicking away. Many WordPress themes are free. That might be appealing since many small businesses work with a limited budget; however, you do get what you pay for. Premium WordPress themes that come with a price tag guarantee support when you cannot figure out how to customize your site and maintain it over time. Even if you’re tech-savvy, support for your WordPress theme can be a lifesaver in a crunch. Developing and maintaining a small business website is a major undertaking but invaluable to growing your enterprise. Have questions or concerns about selecting the right WordPress theme for your business? We can help. Contact our experts, we can make the task easier and offer you important tips to improve your website.